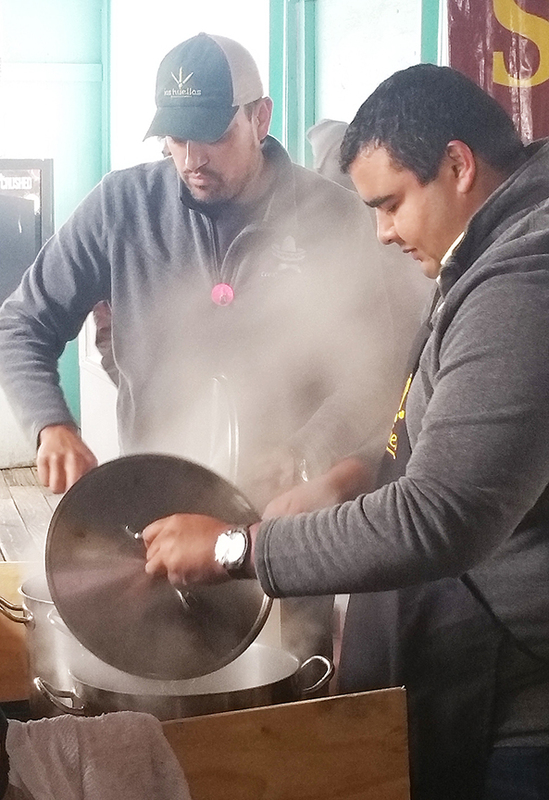 Despite temperatures hovering around 50 degrees, an enthusiastic crowd of chili lovers gathered to sample the different recipes entered in the competition in one of four categories: red, green/white, freestyle and beans. Upon paying the entrance fee, tasters could try as many sample cups as they liked until the chili was gone. Guests are given five wooden sticks each with which to cast votes for their favorite concoctions. An age-old argument, especially here in Texas, is whether or not true chili should have beans or no beans. Coming down on the no beans side was Michael Gonzalez of Austin, who was in town visiting friends and decided to come check out the competition. “Real chili has no beans,” he declared.